For members and friends of The Grind Writers Group, a creative writing group in Vancouver, Canada. And for interested writers anywhere who'd like to connect. before you attend for the first time. Elizabeth McLean: "She's Terrible, and I Love Her: 'Unlikable' Female Characters." 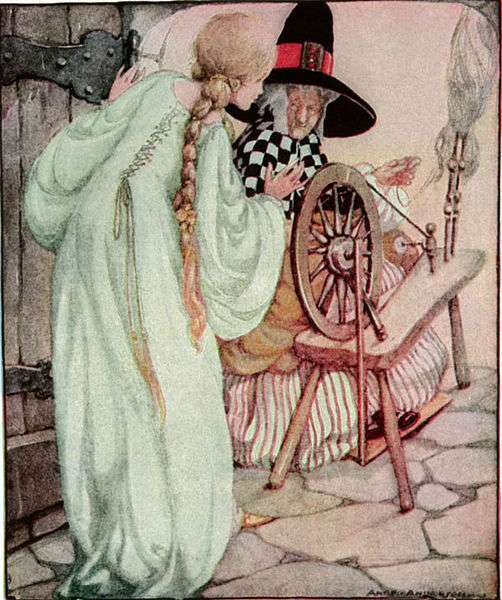 Karen Schauber - "The Marvels of Flash Fiction"
Several years ago, Bonnie Nish the long-time executive director of Pandora’s (literary art) Collective came to The Grind Writers Group to do a mini-workshop with us. She brought along her Pandora’s Box full of 3D writing prompts. I had also attended a regular evening her co-ED Sita Carboni hosted called Word Whips* where people got together and wrote to a prompt she brought. Sita set the timer for 15 mins. and gave us a prompt (a coat-hanger). It’s important that distinction be made. So many non-writers (including some friends and family members) seem to think that the Writing Greats just sat down and poured out War and Peace, Pride and Prejudice, or The Grapes of Wrath in one go. And the first thing most of those people ask even a fledgling writer is, “So, have you published anything?” as if good writing just rolls out like sheets on a roll of paper towels. Sita explained at Word Whips that night that when someone finished reading we would just tap the table with two fingers (softly, because we were meeting in the library) to indicate our support and admiration for one of us having had the courage to share their first-output material to a bunch of strangers. And that’s what we did. In turn, we have carried on that fine tradition at The Grind Writers Group. 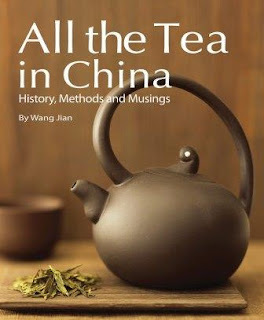 One day, the emperor Qianlong visited the Dragon Well tea area in disguise and took tea in a small tea-house where the attendant, unaware of the emperor’s identity, gave him the tea-pot and asked him to serve his entourage. Unwilling to divulge his identity the emperor poured tea for his followers. This frightened his entourage out of their wits and, in their anxiety they began to tap on the table with their fingers bent to show that they were “kneeling on both knees ke tou continuously” (ke tou—to knock one’s head on the ground in obeisance). This story later became wide-spread and “tapping the table in respect” became part of the etiquette of drinking tea even up to the present day. When the host presents his guest with a tea bowl and pours water for him the guest slowly and rhythmically taps the table with the bent middle and fore fingers of the right hand in a gesture of respect to the host for having been served tea. I don’t know if Sita or Bonnie had ever heard this ancient story. But now we’ve got a name for the tapping and I am totally down for giving ke tou to people who’ve had the courage to share what has just rolled out of their pens. *Word Whips carries on to this day meeting regularly at various locations. Please write to (grindwriters at gmail dot com) before attending your first meeting. Thanks. This book is a must-read for every Canadian, writer or not. Gregory Youngling has done everyone a service writing and compiling this book. It is more than just a dry style guide. (A usage geek, I actually don’t find style guides dry, but I know many people do). When Younging explains what the offense is in various word or phrases, you learn what the pain connected with it is, what the sorrow, the trauma, and the anger are—what, in some cases, the cultural or physical violence has been and, yes, the attempted genocide cultural or otherwise. I’m not, nor were my parents nor any of my ancestors the people who came ashore and laid claim to this land centuries ago. Yet, the occupying force (Government; Crown) that was in place, that ordered my parents to relocate during WW2 to this country where I would later be born—that was the government of a colonial force, no matter how much time has passed. It’s simple. We are. They’re right. We need to fix it and make it right. That will never happen 100%: nothing can ever un-do the taking over, all the past pain, hurt and horror—but we can try. And one way we can all try is by watching our language. We can make that effort to become aware of how we talk about indigenous people, how we characterize them in language that may be deeply offensive (for very good reasons), and what we do with their stuff, in this case specifically their stories and history. 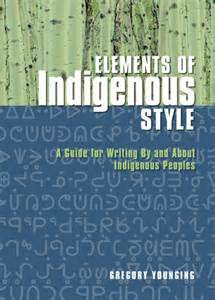 If you are writing about indigenous peoples or topics, one big takeaway from this book is: consult, consult, consult. “There are a lot of editorial issues that are particular to writing by and about indigenous peoples. There are a lot of internal protocols and laws around indigenous knowledge and stories that non-indigenous people just don’t know. For example, some traditional stories are sacred, and there’s a training process required before you have the right to tell them. Some have an apprenticeship-like system, where someone has to train under an elder or master storyteller before they’re allowed to tell the stories.” We just need to think about how we would feel if some stranger came along and stole our histories and our stories and told them supposedly on our behalf, when we were perfectly capable of telling them ourselves, and those strangers told them incorrectly, out of context, and broke our sacred laws in the process. We have a lot to learn. This book is one step towards starting that process. Author Gregory Younging “is a member of the Opaskwayak Cree Nation in Northern Manitoba. He’s been the managing editor of Theytus Books, the first Aboriginal-owned publishing house in Canada, for over 13 years. Elements of Indigenous Style evolved from the house style guide Gregory developed at Theytus in order to ensure content was consistent and respectful.” (--Alberta Writers’ Guild). He’s a professor of indigenous studies at UBC–Okanagan. This Quill & Quire Q&A with Greg Younging on editing indigenous works, story ownership, and Canadian publishing is a good introduction. We sometimes meet elsewhere; meetings may be cancelled. Before you attend, please email grindwriters@gmail.com. Sometimes we meet at other places, sometimes meetings are cancelled. What question would you ask a psychic? 10 Min. Free-write Prompt: What question would you ask a psychic about the future? Do they remove Mr. Trump before his term is done? And is Mr. Pence even worse? I’d also like to know about that “void” area archaeologists have just found in the Great Pyramid at Giza – a void the archaeology establishment seems to be going to great lengths to stress is not a “chamber.” Oh, why stop there: I could ask the psychic a lot about that because a good psychic should be able to go back and forth—way back and forth—in time. So I’d ask who built the Great Pyramid and how’d they get all those blocks……. 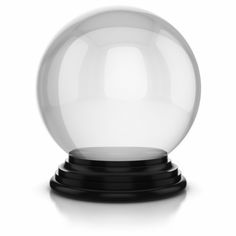 My issue around psychics is this: if I ask about a prediction of some future event and they say “X will happen” to me—that says something I may not be too happy with about Fate or Destiny. I don’t like the idea that our fate is absolutely fixed. If the psychic tells me X is going to happen, then that means fate is fixed. Doesn't matter what I say or do. Doesn't matter what decision I make. 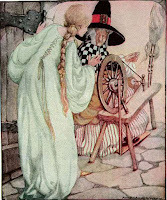 Like the way Sleeping Beauty gets the puncture by spinning wheel thingie no matter that her father banned all spinning wheels from the kingdom for her entire life previously. I like to think there may be a kind of karmic template, but that we can add our own embellishments, that we perhaps can temper things a little by our actions. The concept of karma seems to say that. In a way. But then, if you experience karmic events as they say we do—then those may be fixed. Or… are they? It gets very complicated very fast. Are you predestined to have Experience Y to work on some past karmic issue, well then what’s the point of things like Buddhist “right action” if it’s already set in stone? How can you change anything by your actions; or is that only for the next life? Does the Christian concept of free will factor in? Another problem with consulting psychics and oracles was related by the ancient Father of History (or "Father of Lies"--take your pick) Herodotus centuries ago about that time when King Croesus consulted the oracle at Delphi before an important upcoming battle against the Persians. 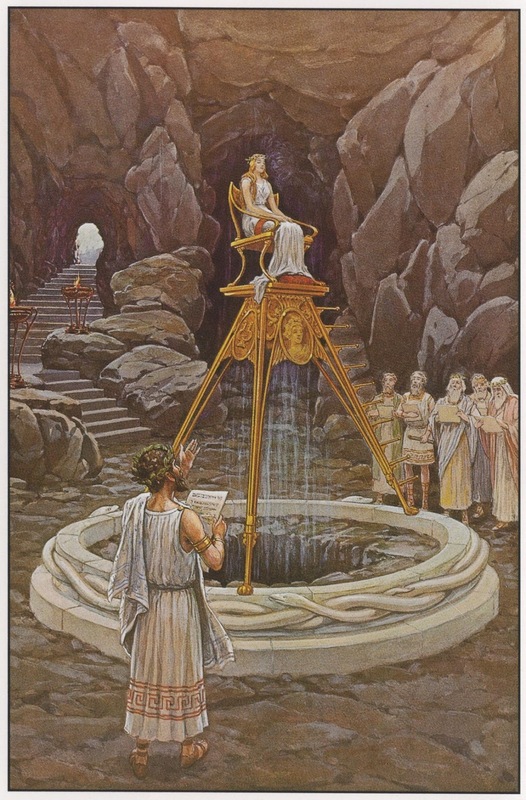 “One ruler who consulted the oracle was Croesus, whose kingdom, Lydia, was located in an area that is now part of the nation of Turkey. Croesus was worried that his rival, Cyrus of Persia, was a threat to him, and he sent messengers to Delphi to ask the oracle for guidance. No, it’s too too complicated. I’ll just ask the psychic about the 649 lotto. I'm only out three bucks if it’s wrong. At our last Grind Writers Group meeting before Christmas, "Christmas" was the season's organic prompt and I want to share the Christmas card I wrote to our members. 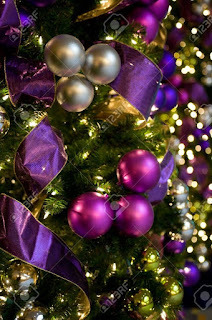 Christmas is not all about presents. It’s also about presence. In this group it’s about your managing to get yourself here—putting it in your calendar; getting your writing gear out, maybe a piece printed to share; and getting here by whatever way you travel. Some of you come by car, some by bus, others cycle here, others walk. One of you comes all the way rom Surrey, another from UBC, another the West End. We draw together for this endeavour of writing, whatever it is. 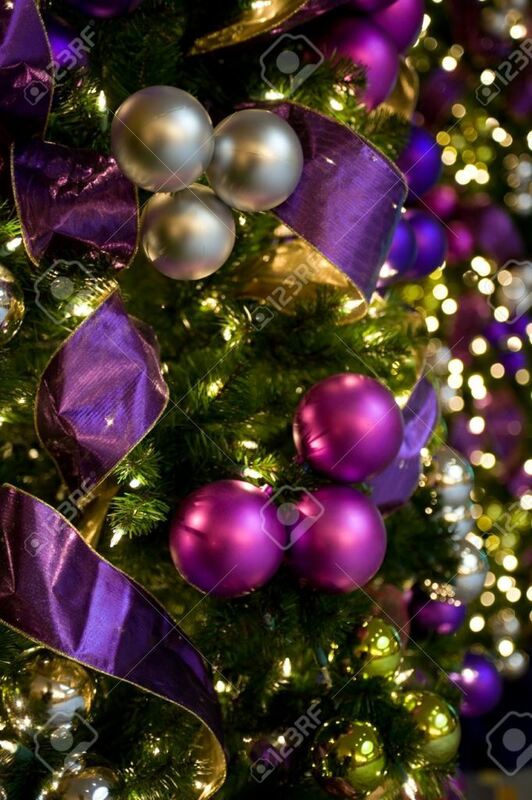 Christmas—the giving part—the sharing part Christ taught: “Do Unto Others” – is about you sharing your time to be here, sharing your work, trusting us to be supportive (there’s that “Do Unto Others” thing again), and being supportive yourself. Supportive isn’t just saying, “Oh, that was nice” or “That was good.” It’s really listening to a piece and trying to be that writer’s ideal reader. It’s trying to see where they are coming from—and doing what you can to help them get there through your feedback ("Love One Another”?) and via your encouragement, your cheering on the sidelines. It’s about making that effort to turn out to others’ readings. About taking the time to give them a boost review on Amazon or the VPL. About sometimes being their beta reader. All of which take time and give of yourself and your energy. So – thank you all for giving us all the gift of you all year as the we head into our 12th year in 2018.